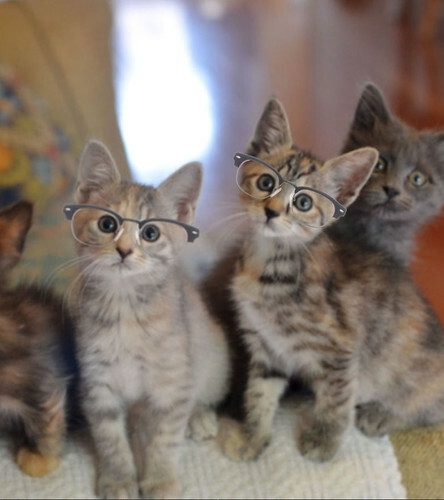 The Itty Bitty Kitty Committee: Kittens in Glasses! I think this might just have to be a regular feature on the blog now. 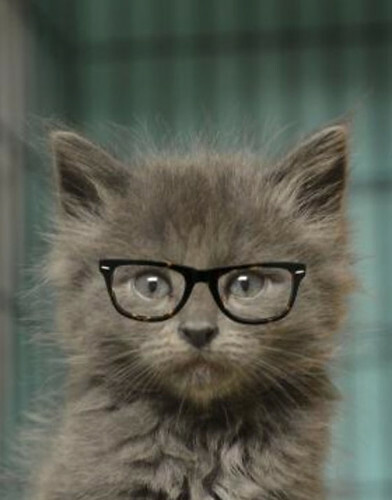 With the hundreds of thousands of kitten pictures I've got in the archives, oh man, this could go on forever!! 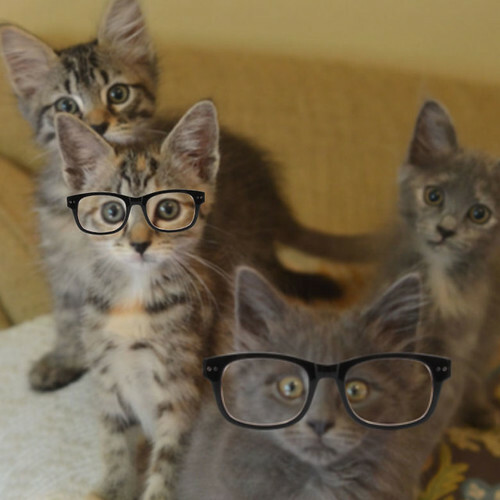 Here are our Von Tussles looking smart in their eyewear! I didn't think it was possible for these kitties to be even cuter. Totally gorgeous. 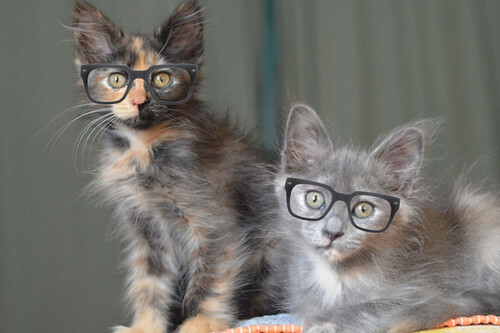 I love the glasses on Charlene and Wee Wylla, but on the kittens...I am dying here ! Keep up the excellent work, Laurie ! I didn't think Langston could get any cuter, but he could. And he did. Pic #4. Pic # two for the win! Many thanks for these delights, Laurie. OMG, they are all so adorable. 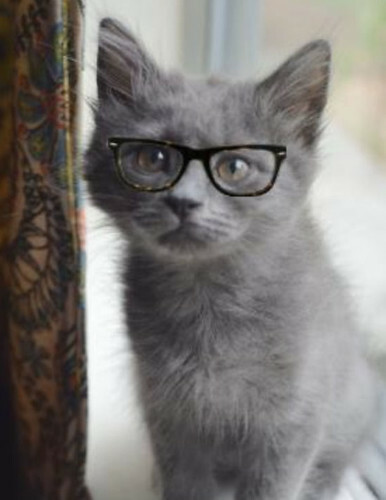 I love how some of the glasses appear to be just perfectly suited for the kitten, as though they really could just go out and sport them and no one would even question it. What fun you must be having! I wouldn't know how to stop once I got started with this kind of fun! 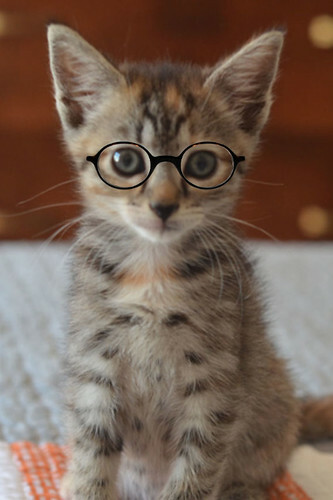 Did you seriously just put little round tortie glasses on a torbie??? Seriously??? Its adorable! That second photo (of I forget who) is just the most perfect! Oh, my. Sooo cute. Loving pic #2 in particular. I never would have thought to try this, but I agree that there's a book in here. Too funny! Yes, this should be a regular feature. 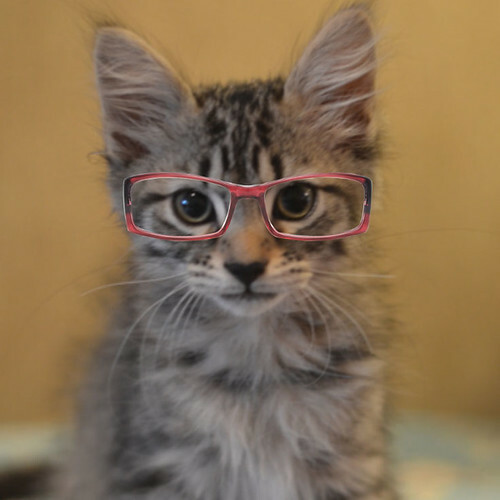 Kittens in Glasses is hilarious!